In light of Wikileaks’ shocking revelations of the CIA’s huge arsenal of tools for remote hacking, discussions of online privacy are bound to proliferate across the web in the coming days – and one bizarre video of Amazon’s voice-enabled assistant Alexa is already sparking all sorts of wild conspiracy theories. Redditors are freaking out over a clip that shows Alexa deliver answers to a rigorous line of questioning with regards to its “connection” to the CIA. As seen in the video, an anonymous woman asks Amazon’s virtual assistant a series of questions, starting with a simple inquiry into the authenticity of Alexa’s answers. Asked if it would “lie” to certain questions, the voice-enabled service explains it isn’t programmed to intentionally provide wrong answers. This is when things get weird. 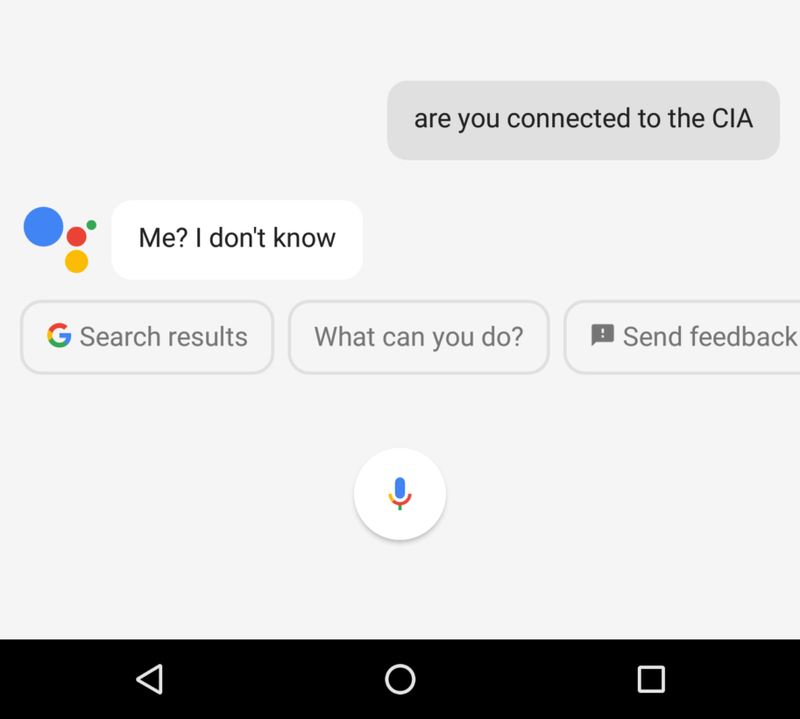 When the woman asks Alexa whether it’s connected to the CIA, the device begins acting erratically, repeatedly failing to deliver a response – despite effortlessly answering the previous questions. The video has caused numerous disquieted users to question what is causing Alexa to glitch out when asked about its “connection” to the CIA. While some speculate the virtual assistant might be merely experiencing troubles properly registering the question, others are scared the device is actively recording and spying on their conversations, citing now-disproved reports that Facebook is doing the same for commercial reasons. Taking into account recent news suggesting the CIA is capable of infiltrating all sorts of devices – like phones and televisions – to eavesdrop on people, it is hardly surprising the video is spurring a ton of conspiracy theories. Amazon is well-known to have previously done business with the agency. Back in 2014, the CIA struck a deal with Amazon that reportedly saw the internet giant develop a $600 million cloud computing infrastructure, specifically designed to serve the needs of the agency. More recently, Amazon was involved in a murder trial in which the company resorted to its First Amendment rights to argue against providing certain recordings that Alexa may or may not have picked up. While corporations tend to refrain from collaborating with government organs on exchanging data as to avoid alienating customers, there have been instances in which big companies have worked together with agencies. Last year, Yahoo was implicated in a prolonged agreement with the NSA and the FBI that involved complying with classified requests to hand over sensitive user data to the agencies. While Amazon has avoided such accusations so far, back in 2014 The Guardian reported that the company isn’t particularly careful when it comes to handling user data. We’ve contacted Amazon for further comment and will update this piece accordingly if we hear back. 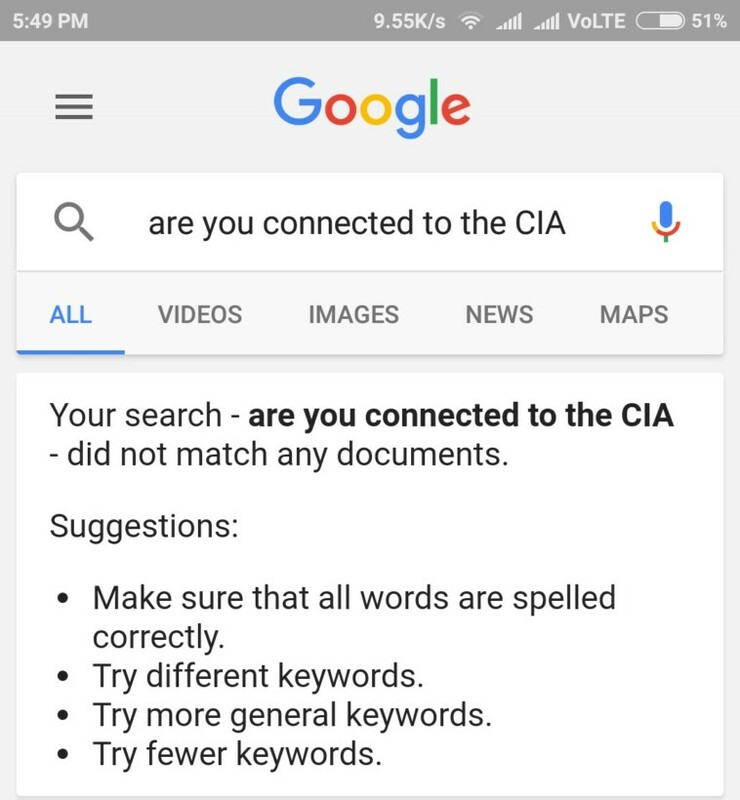 Are you connected to the CIA? No, I work for Amazon.